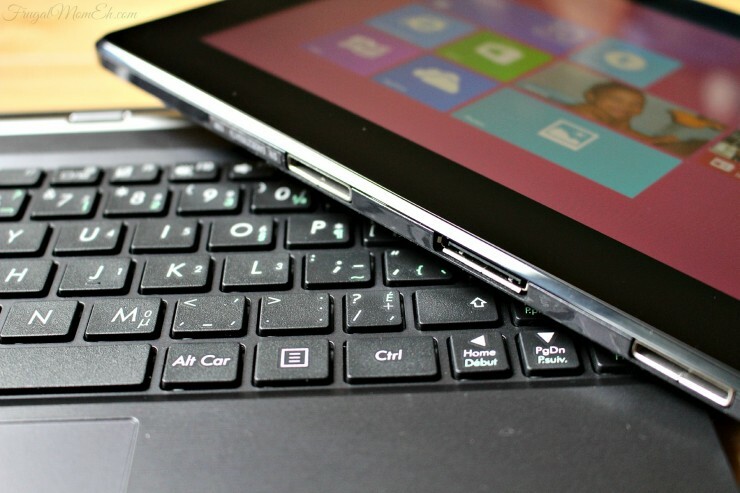 Intel Powered ASUS Transformer 10.1 Tablet #IntelCanada - Frugal Mom Eh! So some very exciting news to share – I am an Intel Canada Insider for the next 12 months so I will have the opportunity to share with you some really cool things. 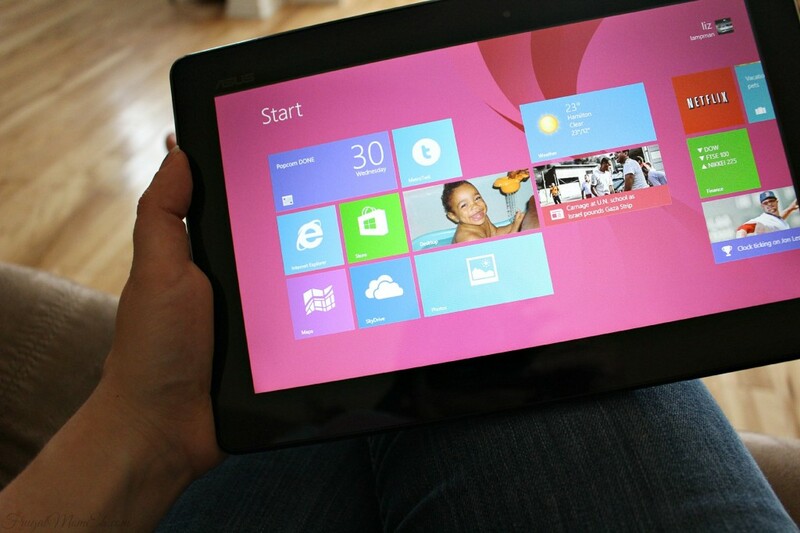 To get me started, I was sent an ASUS Transformer 10.1 Tablet in order to experience an intel-powered device first hand. The Transformer Tablet is a 2-in-1 hybrid tablet running on full Windows 8.1 with a touchscreen. Full Windows. Not the mobile version of Windows. There is no more compromise with this fully functional device as it works equally well as a tablet or as a netbook. Setting up the 2-in-1 was a breeze since I already have Windows 8 installed on my full notebook that I use for blogging. I pretty much just needed to setup the wireless to connect and sign in with my Windows account and choose to sync my apps. Honestly, I could not believe how simple it was to recreate an environment I am already comfortable with using on the tablet. The ASUS Transformer Book combines the computing power and functionality of a laptop with the mobile convenience of a compact tablet. This incredibly versatile device is equipped with a 10.1″ multi-touch display and a practical keyboard dock, so it’s perfect for work or play wherever you are. 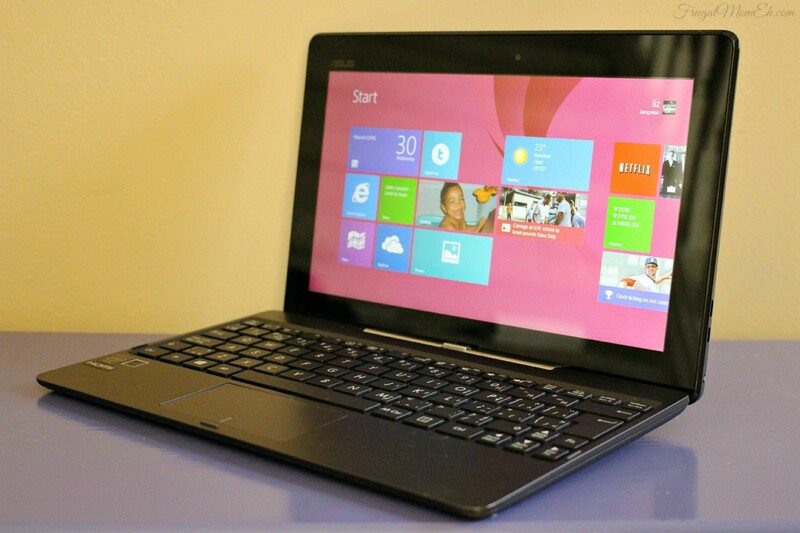 It also comes with an Intel processor, 2GB RAM, 32GB built-in storage, and Windows 8.1. 10.1-inch multi-touch HD display: Get superior visuals on the LED IPS display with 1266 x 768 resolution. Intel Bay Trail-T Z3740 processor with 2GB RAM: Get the power and performance you need for all your everyday computing tasks. 32GB built-in flash memory: Store your important files so they are always at your fingertips. You can expand your storage options up to 64GB with the microSD card slot (memory card sold separately). Mobile keyboard dock: Boost the functionality of your device with a full keyboard, touchpad, and USB 3.0 port for ultra-fast data transfers. All-day battery life: Stay mobile with up to 11 hours of battery life per charge. Go wireless: Built-in WiFi keeps you connected to the web while integrated Bluetooth 4.0 makes it easy to connect to your compatible peripheral devices. Pre-installed with Windows 8.1: This intuitive operating system is optimized for touch devices and brings you closer to your content so you can stay connected to what matters most. I especially love that I can kick back and relax, play some games, keep up with twitter or catch some netflix and then just as easily take it to the desk in my office and get to work with a full keyboard. It’s not just a toy like most other tablets, but a fully productive device. As a matter of fact, there was a recent incident where I dumped a full cup of coffee on my laptop and fried the keyboard. I didn’t know what I was going to do as it was late in the evening and I couldn’t run out to get a USB keyboard in order to continue working. My new intel-powered ASUS 2-in-1 was a lifesaver as I was able to finish up writing a draft that was due. The screen is bright with great resolution, especially considering the price point. The performance and speed of the intel processor is also impressive, especially, again, considering the price point. I can’t wait to see how else this tablet will improve my life over the coming months! This would be amazing for those going back to school. I will ask my son about it, he works for Soft Choice in Toronto. It would be nice to have access to the full version of windows instead of the mobile one. What a great feature in a tablet! Sounds like a great tablet, will have to check into since I need to pick one up for a Christmas present. Sounds really amazing. I think I will put it on Mommy’s Christmas Wish List :). I’m in love with this tablet! I am a loyal Asus user and could use the multi-purpose nature of this table.